Prof Michel Chossudovsky (2018-10-10). Weather Warfare: Beware the US Military's Experiments with Climatic Warfare. globalresearch.ca 'Climatic warfare' has been excluded from the agenda on climate change. Prof. Richard Lindzen (2018-10-10). Climate of Fear: Global Warming Alarmists Intimidate Dissenting Scientists into Silence. globalresearch.ca To understand the misconceptions perpetuated about climate science and the climate of intimidation, one needs to grasp some of the complex underlying scientific issues. RT (2018-10-10). US Defense Secretary Mattis wants 80% of key fighter jets ready for war. rt.com US Defense Secretary Jim Mattis has called on the Pentagon to bring at least 80 percent of its key fighter jets to combat readiness. For a country always at war with someone, surprisingly few of its warplanes are kept sky-worthy. wsws (2018-10-10). 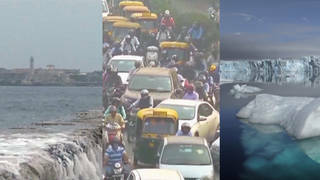 UN report warns of catastrophic consequences of climate change within 20 years. 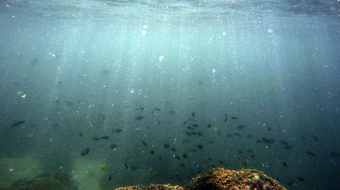 wsws.org The increasingly dire warnings from scientists about the impact of human-caused global warming stand in stark contrast with the tepid and complacent response of world governments. wsws (2018-10-10). The disappearance of Saudi journalist Jamal Khashoggi and the hypocrisy of the New York Times. wsws.org If true, the murder of Khashoggi will join a long list of savage crimes by the Saudi regime, very few of which have troubled the Times. RT (2018-10-10). 'With us, or against us': Nikki Haley's top threats & accusations at UN. rt.com From bullying countries into voting in line with Washington to proclaiming that the US and Russia will never be friends, retiring US ambassador Nikki Haley has said a lot of eyebrow-raising things at the UN. Here are some of them. Matthew Chapman, AlterNet (2018-10-09). Unhinged Tucker Carlson Compares Democratic Criticism of Brett Kavanaugh to Rwandan Genocide. alternet.org Tucker Carlson is increasingly seeing a race war in everything Democrats do. | The appointment of Brett Kavanaugh to the Supreme Court has prompted a surge of anger from Democrats, based on his extremist, partisan agenda, repeated lies. . .
Tom Boggioni, Raw Story (2018-10-09). Former FBI Agent Explains Why Mueller's Russia Investigation Is Unstoppable — Even If Trump Fires Rod Rosenstein. alternet.org To begin with, there is no such thing as a single 'Russia investigation. ' | Writing for the Washington Post, a former FBI agent who specialized in counter-intelligence said that special counsel Robert Mueller's investigation of Russian involvement into Donald Trump's presidential campaign is virtually unsto. . .
Vijay Prashad (2018-10-09). The US Has No Legitimate Reason to Impose New Sanctions on Iran. mintpressnews.com The UN's position against Iran is in bad faith. All the member states and the UN secretariat know that Iran has no nuclear weapons programme. Yet, they have allowed the US and Israel to push against Iran. Cody Fenwick, AlterNet (2018-10-09). Court Decision Reveals Clues About Mueller's Russia Investigation — And Shows He Still Has Secret Leads Concealed from the Public. alternet.org There's still much we don't know. | While recent reports that two of special counsel Robert Mueller's prosecutors have left his team after its recent successes led some to suspect that the Russia investigation is winding down, a new court decision reveals that there's still much about the investigation that the public doesn't know. In response to a petition from several media outlets to obtain the search warrants used to gather evi. . .
wsws (2018-10-09). Journalist reported tortured and slain in Saudi consulate in Istanbul. wsws.org The disappearance of Jamal Khashoggi a week ago is further confirmation of the barbaric character of Washington's closest ally in the Arab world. RT (2018-10-09). No proof of Russian meddling in 2018 midterms? Not YET, says Daily Beast in conspiracy-laden report. rt.com Even the absence of alleged Moscow interference is now worthy of a pearl-clutching "exclusive" report: the Daily Beast says there's no evidence of Russia's hand in the upcoming midterm elections — but you still should be paranoid. Kelly Curry, Independent Media Institute (2018-10-09). Here's Why I Love Iran — Even When My Country Sees It as an Enemy. alternet.org Wondering about American indifference about the war we're ramping up for has had me thinking about why I love Iran. | I was living in Harlem. It was a few weeks after 9/11 and when Mahsa rang and let me know that she would be in New York, I was happy and excited. Her brother and I had been friends for over ten years. We always said our meeting was destined. As the only two kids of color—I am Black American and he is Persian—in an otherwise all-white Women. . .
Whitney Webb (2018-10-08). WaPo Learns the High Price of Doing Saudi Arabia's PR after Alleged Murder of Its Own Columnist. mintpressnews.com For much of the past 15 years, The Washington Post has repeatedly published reports that essentially amount to press releases for the Saudi government promoting Saudi government "reforms." Mike Ervin (2018-10-08). October is National Disability Employment Awareness Month. Yikes! progressive.org I'm supposed to be writing about how hiring disabled people is the right thing to do and makes good business sense. But I'm not comfortable carrying that message. Jon Queally (2018-10-08). Could the Murder of WaPo Journalist Finally Put a Crack in US Support of Saudi Arabia? mintpressnews.com "If this is true – that the Saudis lured a U.S. resident into their consulate and murdered him – it should represent a fundamental break in our relationship with Saudi Arabia," declared Sen. Chris Murphy (D-Conn.) in response. 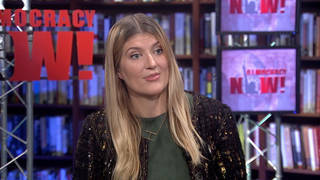 Whitney Webb (2018-10-08). Omidyar's Intercept Teams Up with War-Propaganda Firm Bellingcat. mintpressnews.com Despite promoting itself as an "independent" and open-source investigation site, Bellingcat has received a significant portion of its funding from Google, which is also one of the most powerful U.S. military contractors and whose rise to prominence was directly aided by the CIA. RT (2018-10-08). Abramovich's ex-wife and kids living in Manhattan mansion owned by Russian tycoon Deripaska – report. rt.com Washington has seized Russian tycoon Oleg Deripaska's US-based assets including a five-storey Manhattan mansion — but in a surprising twist, reportedly found the ex-wife and children of Roman Abramovich living at the property. wsws (2018-10-08). Damien Chazelle's First Man: Reduced in space—and opera singer Maria Callas, the Afghanistan war, small-town America. wsws.org Damien Chazelle's First Man—which opens in the US October 12—focuses on US astronaut Neil Armstrong and his role in Apollo 11, the first manned mission to the moon. wsws (2018-10-08). Eighteen-year-old found hanged in northern Wisconsin jail. wsws.org The tragic and preventable deaths in Wisconsin Rapids reflect an upward trend in suicides throughout the United States' overcrowded, backlogged and brutal jail and prison system. RT (2018-10-07). US general made preparations behind president's back to nuke Vietnam, declassified memo shows. rt.com The commander of US forces in Vietnam had devised a secret plan to use nuclear warheads against the communist North during the Vietnam War, before President Johnson halted the ongoing preparations, declassified documents reveal. Lee Fang (2018-10-07). At Secretive Retreat, Evangelicals Celebrate Brett Kavanaugh's Confirmation. theintercept.com Members of the Council for National Policy gathered in Charlotte, North Carolina, this weekend and discussed the path forward with Kavanaugh on the bench. Amos Barshad (2018-10-07). Israel's Gabriella Blum Helped Write the Laws of Drone Warfare. Nearly Two Decades Later, She Has Regrets. theintercept.com Israeli lawyers counseled that targeted killings should always be the exception, never the rule. But critical checks on the practice have evaporated. RT (2018-10-06). Trump signs law allowing US authorities to shoot down private drones without warrants. rt.com US authorities are now allowed to shoot down personal drones if they deem them to be a threat, thanks to a new bill which has been signed by President Donald Trump. But critics say the law could be easily abused. RT (2018-10-06). 'Why don't that thing have missiles? ': Lee Camp on AI and the US military. rt.com The US military's quest for driverless supply trucks is just the tip of the AI-ceberg when it comes to automating its killing machines. Redacted Tonight's Lee Camp takes a humorous, yet thorough look at AI's future of warfare. Deconstructed (2018-10-06). 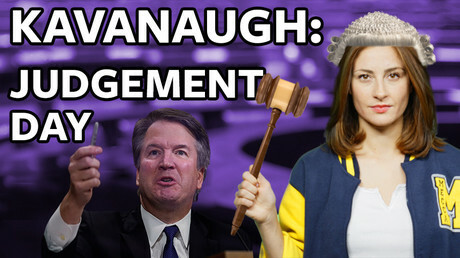 Deconstructed Episode Special: The Right Won the Battle Over Brett Kavanaugh. Can the Left Win the War? theintercept.com A panel of guests joins Mehdi Hasan to discuss the Kavanaugh confirmation and how the left should respond. Sarah Aziza (2018-10-06). Saudi Women Who Fought for the Right to Drive Are Disappearing and Going Into Exile. theintercept.com Despite promises of reform, Saudi Arabia is escalating its assault on civil society — and, for the first time, women have become its primary targets. RT (2018-10-05). 'I would do very well': Golf enthusiast Trump brags he could beat Putin in boxing match (VIDEO). rt.com Donald Trump declared he would have a good chance against judo black belt Vladimir Putin in a hypothetical boxing match, during some off-script boasting at a Minnesota political rally. RT (2018-10-05). 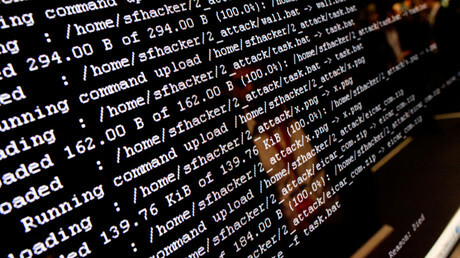 Journalist explains why US doesn't need hackers to control the world, and it's hard to disagree. rt.com 'Russian hackers' have become the go-to bogeymen for Washington. There's little mention of American hackers though — probably because they aren't needed, since most of the internet is a branch of US intelligence. 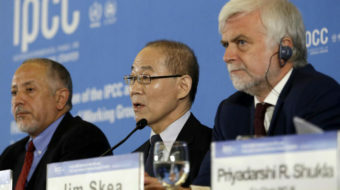 Scientists of the Intergovernmental Panel on Climate Change (IPCC) indicate that global temperature rise of 1.5°C above pre-industrial temperatures would constitute a threshold the planet cannot cross without suffering the worst effects of climate change. Yet according to the U.N. … | The post The IPCC'S Final Warnings of Extreme Global Warming appeared first on Global Research. 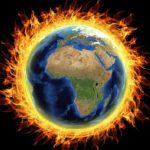 A new report from the world's leading body on climate change says we could see catastrophic global warming by 2030, and climate scientist Michael Mann says their predictions are too conservative | The post Michael Mann: We Are Even Closer To Climate Disaster Than IPCC Predicts appeared first on The Real News Network. Swarms of insects, transporting genetically modified infectious viruses, attack the agricultural crops of a country and destroy its food production  this is not a science-fiction scenario, but a plan that is actually being prepared by DARPA, the Pentagon's Defense … | The post Video: The Pentagon's Insect Army appeared first on Global Research. To understand the misconceptions perpetuated about climate science and the climate of intimidation, one needs to grasp some of the complex underlying scientific issues. | The post Climate of Fear: Global Warming Alarmists Intimidate Dissenting Scientists into Silence appeared first on Global Research. On October 21st there will be a Women's March on the Pentagon hosted by the Global Women's Peace Action. My wife and many of our friends will be going and even I will tag along in support in spite of my gender. We participate with some reservations as we have only demonstrated publicly twice since 9/11, once opposing […] | The post Time For The Sans-Culottes To Rise Up Against Washington's Insanity appeared first on The Iranian. If true, the murder of Khashoggi will join a long list of savage crimes by the Saudi regime, very few of which have troubled the Times. 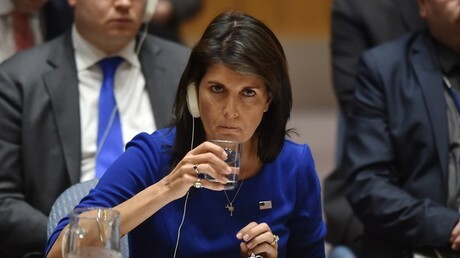 From bullying countries into voting in line with Washington to proclaiming that the US and Russia will never be friends, retiring US ambassador Nikki Haley has said a lot of eyebrow-raising things at the UN. Here are some of them. Tese days, our global political alliances seem to shift with remarkable rapidity, as if we were actually living in George Orwell's 1984. Are we at war this month with Oceania? Or is it Eastasia? In that novel, the Party is able to erase history, sending old newspaper articles down the Ministry of Truth's "memory hole" and […] | The post Islamophobia Under Trump: The New McCarthyism appeared first on The Iranian. The UN's position against Iran is in bad faith. All the member states and the UN secretariat know that Iran has no nuclear weapons programme. Yet, they have allowed the US and Israel to push against Iran. A friend in Tehran tells me that he marvels at the attitude of the United States ruling establishment […] | The post The US Has No Legitimate Reason To Impose New Sanctions On Iran appeared first on The Iranian. Warming beyond 1.5C will unleash a frightening set of consequences and scientists say only a global transformation, beginning now, can avoid it. | Only the remaking of the human world in a generation can now prevent serious, far reaching and once-avoidable … | The post Climate Alarm: 'Most Important Years in History' appeared first on Global Research. The current Ukrainian crisis and, in fact, the civil war which started at the very end of 2013 are grounded in for decades lasting internal interregional antagonisms between the western and the eastern regions of Ukraine. The crisis is fully … | The post What Is the Best Solution to the Ukrainian Crisis? appeared first on Global Research. On October 2, prominent Saudi journalist/critic Khashoggi disappeared after entering the Saudi kingdom's Istanbul, Turkey consulate, needing documents for his upcoming wedding, scheduled for this week. | He hasn't been seen or heard from since, likely victimized by foul play. Turkish … | The post Did the Saudis Kidnap and Murder Journalist Jamal Khashoggi? appeared first on Global Research. There's still much we don't know. | While recent reports that two of special counsel Robert Mueller's prosecutors have left his team after its recent successes led some to suspect that the Russia investigation is winding down, a new court decision reveals that there's still much about the investigation that the public doesn't know. In response to a petition from several media outlets to obtain the search warrants used to gather evi. . .
To begin with, there is no such thing as a single 'Russia investigation. ' | Writing for the Washington Post, a former FBI agent who specialized in counter-intelligence said that special counsel Robert Mueller's investigation of Russian involvement into Donald Trump's presidential campaign is virtually unsto. . . 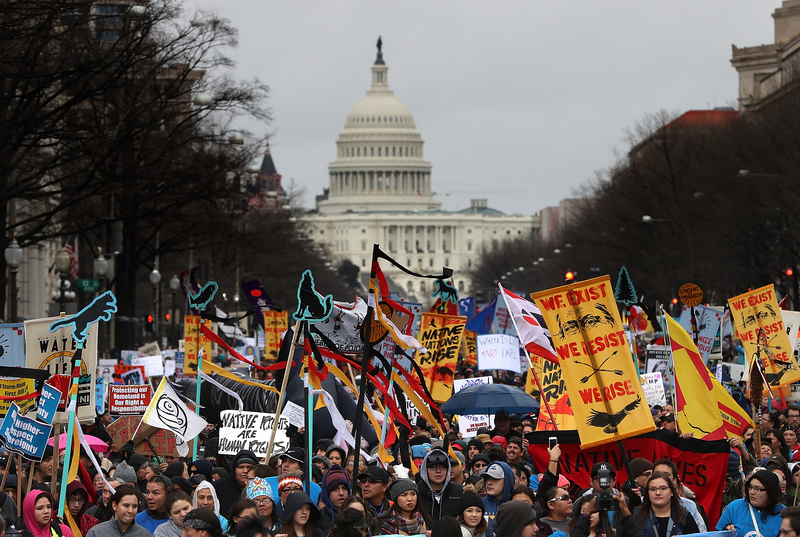 The world is changing  but whose voice is telling you how? | Global Research brings independent, real information from investigative reporters, academics, witnesses and anti-war activists. We provide a platform for global news and analysis, free from hidden agendas, corporate … | The post Don't Let Your News Be Silenced  Support Global Research appeared first on Global Research. On October 21st there will be a Women's March on the Pentagon hosted by the Global Women's Peace Action. 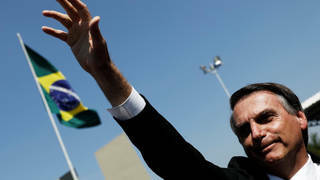 My wife and many of our friends will be going and even I will tag along in support in spite … | The post Aux Barricades Mes Enfants! The Insanity of US Foreign Policy. The Danger of War appeared first on Global Research. Tucker Carlson is increasingly seeing a race war in everything Democrats do. | The appointment of Brett Kavanaugh to the Supreme Court has prompted a surge of anger from Democrats, based on his extremist, partisan agenda, repeated lies. . . 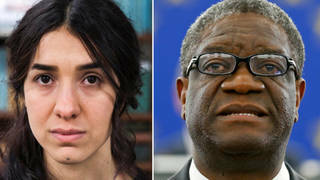 The UN's position against Iran is in bad faith. All the member states and the UN secretariat know that Iran has no nuclear weapons programme. Yet, they have allowed the US and Israel to push against Iran. 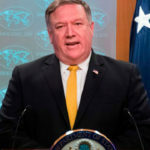 | The post The US Has No Legitimate Reason to Impose New Sanctions on Iran appeared first on MintPress News. Saudi strengths and weaknesses may have been long debated but the Kingdom's vulnerabilities have seldom been so starkly on display as they were last Tuesday because the coincidence of two very different events. Before a rally in Mississippi, President Trump stated — brutally and without qualification — the dependence of the Saudi monarchy on US support and the price it must pay for such backing. The Iranian Navy's fleet in the Sea of Oman took delivery of a new missile-launching warship dubbed Konarak on Monday. In a ceremony at a naval base in Iran's southeastern port city of Konarak, the military vessel of the same name came into service. Navy Commander Rear Admiral Hossein Khanzadi and a number of local […] | The post Iranian Navy's Fleet Takes Delivery Of New Missile-Launching Warship appeared first on The Iranian. The messages from Tehran are stark. On October 1, Iranian forces fired six missiles at Daesh positions in eastern Syria. The weapons landed within three miles of US troops in the country; one missile shown on Iranian state television carried the slogan: "Death to America, "Death to Israel, Death to al Saud." A statement by […] | The post Why US Sanctions Won't Change Iran's Foreign Policy appeared first on The Iranian. The disappearance of the Saudi dissident Jamal Khashoggi in mysterious circumstances while on a visit to his country's consulate in Istanbul last Tuesday still remains unexplained. The plot is thickening by the day. The latest reports suggest that he may not even be alive. The Istanbul Prosecutor has ordered an investigation. President Recep Erdogan has […] | The post US-Saudi Relations Enter Unchartered Waters appeared first on The Iranian. The Washington Free Beacon reports that some in the U.S. Treasury Department are trying to save Iran's access to SWIFT, which can help Tehran to maintain access to the world banking and financial network. SWIFT is a system that enables its nearly 10,000 institutional members around the world to securely transfer money around the globe. During the […] | The post Iran's Access To SWIFT Being Debated In Washington appeared first on The Iranian. The disappearance of a dissident Saudi journalist in the kingdom's consulate in Istanbul last Tuesday has offered pundits a golden opportunity to pin the blame on their favorite target: Donald Trump. If the Saudi regime has murdered Khashoggi, Mohammed bin Salman will be confirmed as the head of a rogue state deploying murderous strategies outside its borders The mystery surrounding the disappearance of Saudi journalist Jamal Khashoggi in Istanbul is still unresolved a week after his visit to the Saudi consulate, where he wanted to obtain documents for […] | The post Jamal Khashoggi's Disappearance Proves Saudi Arabia Is A Rogue State appeared first on The Iranian. Prophet Mohammad and Khosrow Parviz were born only months apart (570, 571 A.D) and both died within a few years of each other. Arab tradition has it that Mohammad in a letter to Khosrow asked for his submission but he tore the letter to pieces. As far as Khosrow Parviz was concerned there were only […] | The post Was Khosrow Parviz Responsible For The Arab Conquest Of The Sassanid Empire? appeared first on The Iranian. Even the absence of alleged Moscow interference is now worthy of a pearl-clutching "exclusive" report: the Daily Beast says there's no evidence of Russia's hand in the upcoming midterm elections — but you still should be paranoid. Wondering about American indifference about the war we're ramping up for has had me thinking about why I love Iran. | I was living in Harlem. It was a few weeks after 9/11 and when Mahsa rang and let me know that she would be in New York, I was happy and excited. Her brother and I had been friends for over ten years. We always said our meeting was destined. As the only two kids of color–I am Black American and he is Persian–in an otherwise all-white Women. . . The disappearance of Jamal Khashoggi a week ago is further confirmation of the barbaric character of Washington's closest ally in the Arab world. "If this is true – that the Saudis lured a U.S. resident into their consulate and murdered him – it should represent a fundamental break in our relationship with Saudi Arabia," declared Sen. Chris Murphy (D-Conn.) in response. | The post Could the Murder of WaPo Journalist Finally Put a Crack in US Support of Saudi Arabia? appeared first on MintPress News. For much of the past 15 years, The Washington Post has repeatedly published reports that essentially amount to press releases for the Saudi government promoting Saudi government "reforms." | The post WaPo Learns the High Price of Doing Saudi Arabia's PR after Alleged Murder of Its Own Columnist appeared first on MintPress News. Despite promoting itself as an "independent" and open-source investigation site, Bellingcat has received a significant portion of its funding from Google, which is also one of the most powerful U.S. military contractors and whose rise to prominence was directly aided by the CIA. 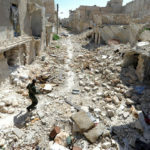 | The post Omidyar's Intercept Teams Up with War-Propaganda Firm Bellingcat appeared first on MintPress News. I'm supposed to be writing about how hiring disabled people is the right thing to do and makes good business sense. But I'm not comfortable carrying that message. The claim that the national security of the United States requires that more than half the nation's discretionary budget must be devoted to the maintenance of armies, global strategic bases and massive armaments is false. Until we can convince the majority of the public of this fiction, and surmount the wall of disinformation, nothing will change and we will continue down the road to a hellish future. 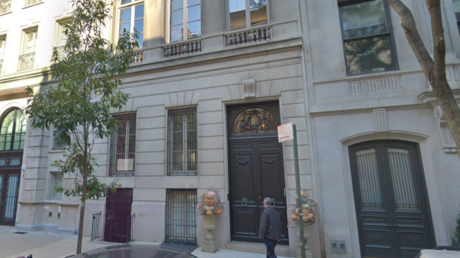 Washington has seized Russian tycoon Oleg Deripaska's US-based assets including a five-storey Manhattan mansion — but in a surprising twist, reportedly found the ex-wife and children of Roman Abramovich living at the property. Mehdi Kia: In the first part of the interview we talked of the evolving line-ups in the Middle East in the backdrop of recent massive changes in the global order brought about by the end of the US-led unipolar world. Can we turn now to the challenges facing the Islamic Republic of Iran today and the […] | The post Squeezing Iran: The Iranian Perspective appeared first on The Iranian. Iran's Oil Minister Bijan Zanganeh has dismissed as "nonsense" claims by the Saudi crown prince that Saudi Arabia can replace sanctions-hit Iranian oil in the market. "(Mohammed) bin Salman's remarks and such bragging can only satisfy (U.S. President Donald) Trump. No one else will believe him. Iran's oil cannot be replaced by Saudi Arabia nor […] | The post Tehran Says Saudi Arabia Unable To Replace Lost Iranian Oil appeared first on The Iranian. Heavy rain in the north of Iran has caused floods that have left trail of destruction in many villages and about 27 cities. The rivers have burst their banks in several locations causing damages to bridges over them and sweeping away fields and peoples' houses. Some 9 people have so far been reported killed while […] | The post Flash Floods In Northern Iran appeared first on The Iranian. The tragic and preventable deaths in Wisconsin Rapids reflect an upward trend in suicides throughout the United States' overcrowded, backlogged and brutal jail and prison system. Damien Chazelle's First Man–which opens in the US October 12–focuses on US astronaut Neil Armstrong and his role in Apollo 11, the first manned mission to the moon. 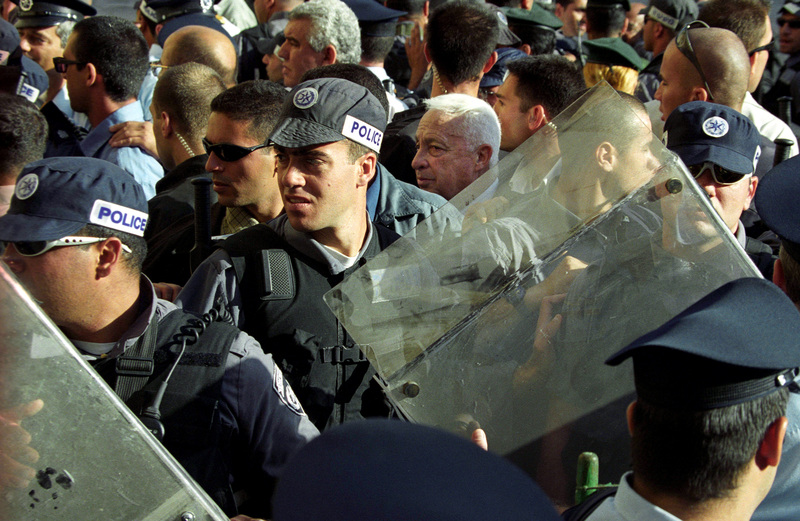 Israeli lawyers counseled that targeted killings should always be the exception, never the rule. But critical checks on the practice have evaporated. | The post Israel's Gabriella Blum Helped Write the Laws of Drone Warfare. Nearly Two Decades Later, She Has Regrets. appeared first on The Intercept. The commander of US forces in Vietnam had devised a secret plan to use nuclear warheads against the communist North during the Vietnam War, before President Johnson halted the ongoing preparations, declassified documents reveal. 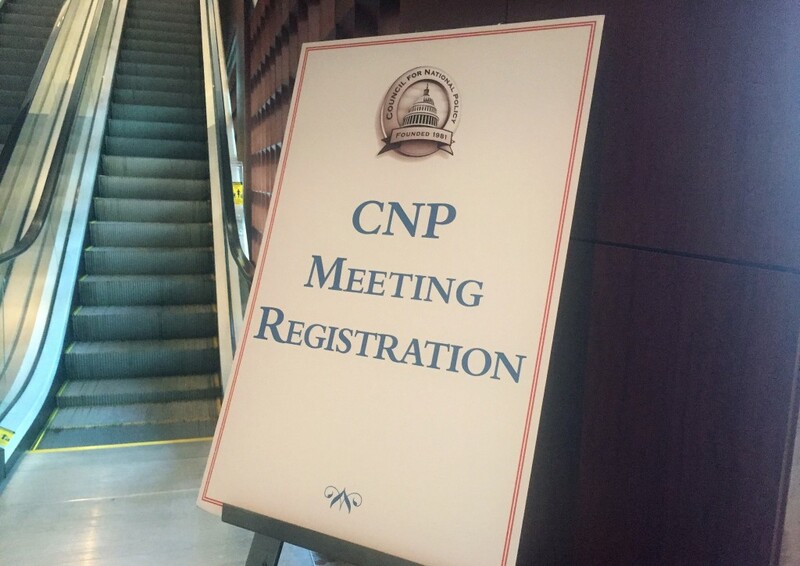 Members of the Council for National Policy gathered in Charlotte, North Carolina, this weekend and discussed the path forward with Kavanaugh on the bench. | The post At Secretive Retreat, Evangelicals Celebrate Brett Kavanaugh's Confirmation appeared first on The Intercept. US authorities are now allowed to shoot down personal drones if they deem them to be a threat, thanks to a new bill which has been signed by President Donald Trump. But critics say the law could be easily abused. 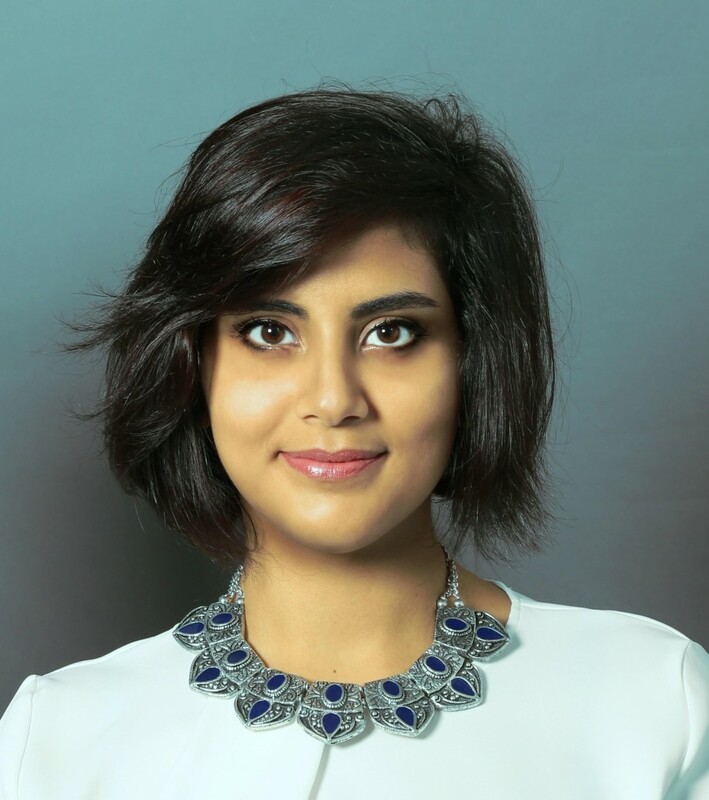 Despite promises of reform, Saudi Arabia is escalating its assault on civil society — and, for the first time, women have become its primary targets. | The post Saudi Women Who Fought for the Right to Drive Are Disappearing and Going Into Exile appeared first on The Intercept. The US military's quest for driverless supply trucks is just the tip of the AI-ceberg when it comes to automating its killing machines. 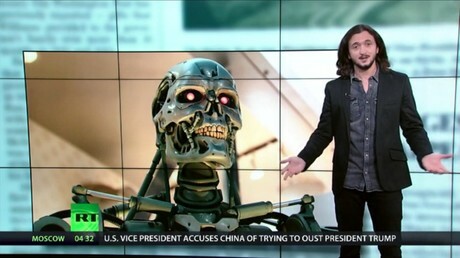 Redacted Tonight's Lee Camp takes a humorous, yet thorough look at AI's future of warfare. Deconstructed Episode Special: The Right Won the Battle Over Brett Kavanaugh. Can the Left Win the War? A panel of guests joins Mehdi Hasan to discuss the Kavanaugh confirmation and how the left should respond. | The post Deconstructed Episode Special: The Right Won the Battle Over Brett Kavanaugh. Can the Left Win the War? appeared first on The Intercept. Judge Brett Kavanaugh, Donald Trump's choice for Supreme Court Justice, is still in line for one of the most influential jobs in the US despite fighting off allegations of sexual assault. 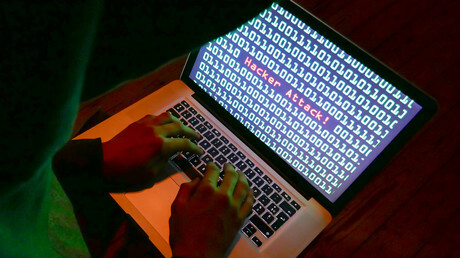 'Russian hackers' have become the go-to bogeymen for Washington. There's little mention of American hackers though — probably because they aren't needed, since most of the internet is a branch of US intelligence. 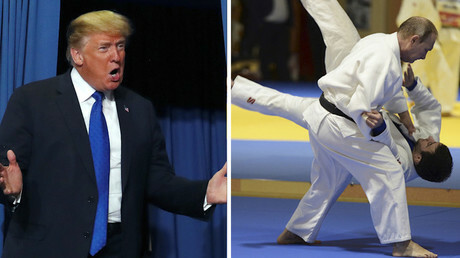 Donald Trump declared he would have a good chance against judo black belt Vladimir Putin in a hypothetical boxing match, during some off-script boasting at a Minnesota political rally. A post-9/11 act grants the president authority to wage foreign wars with few restrictions. However, Democrats want the Pentagon to explain a lesser-known policy that allows the military to strike almost anywhere, at any time.